Diyala police chief Major General Faisal al-Abadi, Tuesday, that tomorrow will see the launch of the security plan for Nawroz in the province. Abadi told Mawazine News that "tomorrow will see the launch of the security plan for the holidays of Nowruz and the application of its interlocutors on the ground in the areas of Diyala." He added that "the plan includes the alerting of various security formations and deployment in the form of hoops in all public places and tourist parks and religious shrines in Diyala, which attract tourists to protect them and provide an atmosphere suitable for citizens." 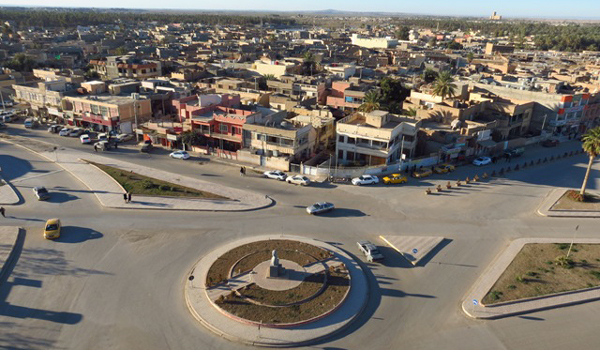 The provinces of Diyala province, especially Khanaqin, are witnessing large celebrations during Nawruz celebrations annually, where the provincial council announced yesterday the disruption of the official working day for Wednesday and the next entrants on this occasion.